Established in 1993, we are a family run business. Having worked for other companies, we set up KAT Locksmiths to offer a comprehensive, friendly and reliable service to domestic and commercial customers. Due to the excellent customer service levels provided by KAT, we now boast a high percentage of all business as either repeat or refferal. We cover all aspects of the industry in a friendly and proffessional manner, leading to 99% of all gain entries are acheived without drilling or replacing locks. We will advise you on the best resolution to your problems and give you a free estimate of costs and explain the works required. 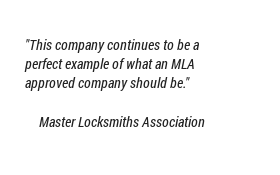 We became a member of the MLA "Master Locksmiths Association" in 1996 (Member no. 001488). The MLA licenses its approved companies through strict vetting and regular assessments, in order to ensure quality of service and provide peace of mind to the end customer. Visit the MLA website Here for further information. 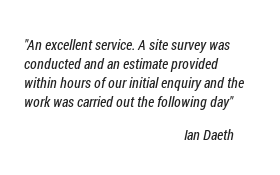 Once we have given you a free estimate of the cost and work required you will only pay as per quote, even if the job takes longer than estimated (hence no hidden costs). 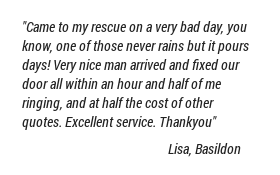 Although we are an Essex based locksmith, we do offer a national service for our commerical customers. Due to the continued growth of the business, we are now looking for respected and reliable locksmiths in other area's of the UK and Ireland to undertake work on our behalf, any interested parties should email us for further details.